The nose is one of the most prominent features of the face. A strong aesthetic balance is achieved when the nose is well proportioned to the face. The cause of nasal deformities may be either a result of previous injury or just normal development. There are many reasons why cosmetic surgery on the nose is contemplated. 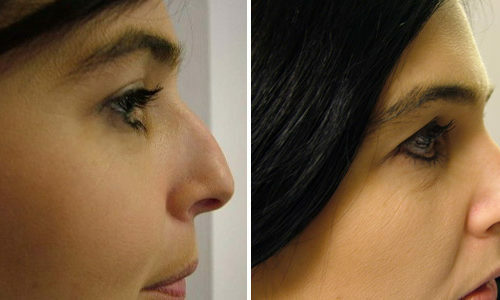 These include a large nasal hump, abnormal curvature of the nose, prominent tip or a large base. All of these as well as other less common abnormalities can be surgically corrected. 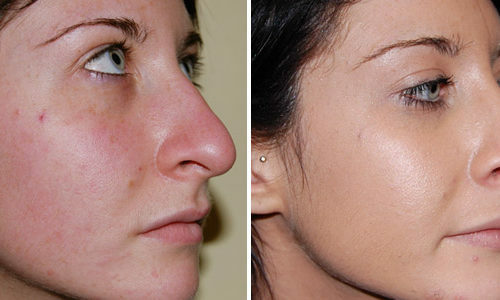 Rhinoplasty is performed under a general anaesthetic. In most case the incision is inside the nose with no visible scars. In some cases, especially if surgery to the tip is required, the access involves a small incision across the columella (the strip of tissue separating the nostrils). This is known as open rhinoplasty and heals with no visible scarring. The approach chosen will depend on what needs to be done to the nose. 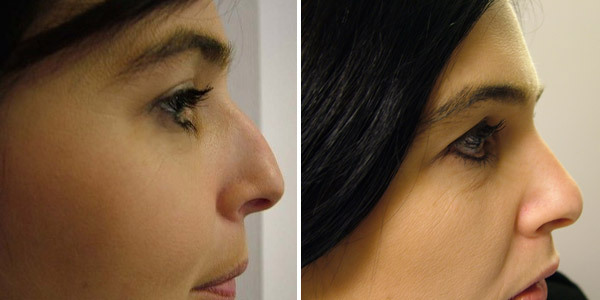 The surgery changes the shape of the nose by altering the underlying bone and cartilage structure, and then the skin is re-draped over the new structure. The patient can experience some headaches and difficulty in breathing for a few days. The final result will take several months to appear before the swelling settles. In approximately 5% of patients a secondary procedure may be required to deal with minor irregularities. 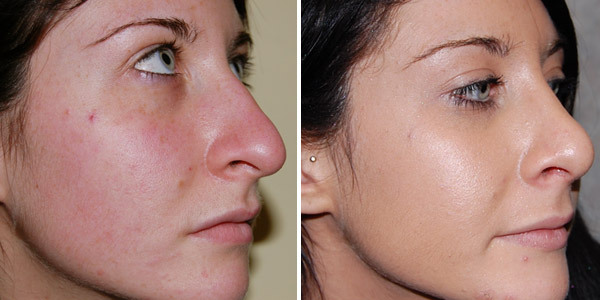 Mr Sabbagh uses both the open and closed approach in rhinoplasty. For most cases which only require a hump reduction and minor adjustments a closed approach is utilized. In those cases that are complex, require changes to the tip or/and the septum then an open approach is selected. Nasal packs are usually placed in the nostrils after surgery. In most cases the packs are removed one day after surgery. Cases that involve correction of the septum may require packs for 3 days. An external splint will be used in the majority of cases. This will help to stabilize the new position of the nasal bones and also helps to minimize swelling. The swelling will be removed at one week following the surgery. There will be a degree of blockage in the first week after surgery. This is because some blood and mucous dries up and prevents smooth flow of air. Steam can be helpful to loosen any blockage. Bruising around the eyes is variable and usually occurs if the nasal bones need to be broken to narrow the nasal bridge. Most of the bruising subsides one week following the surgery.